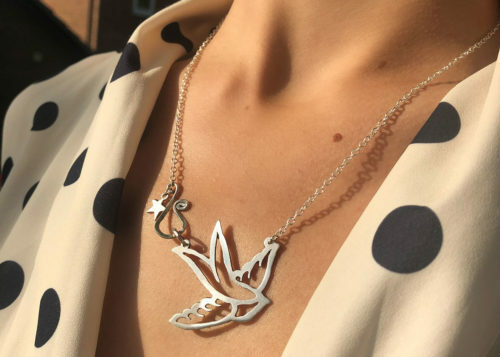 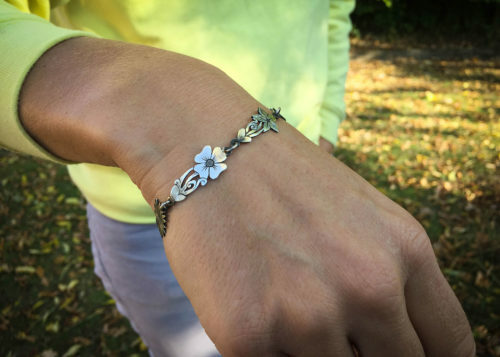 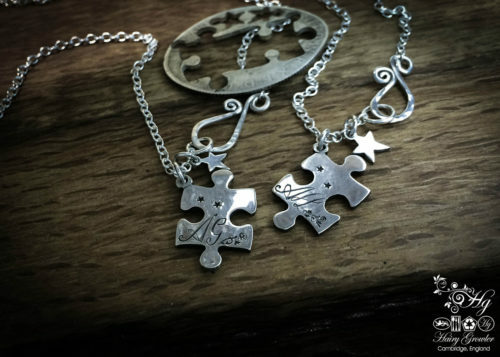 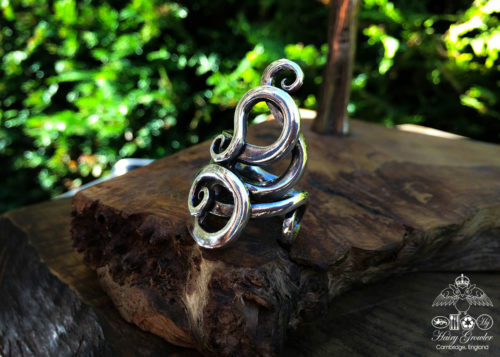 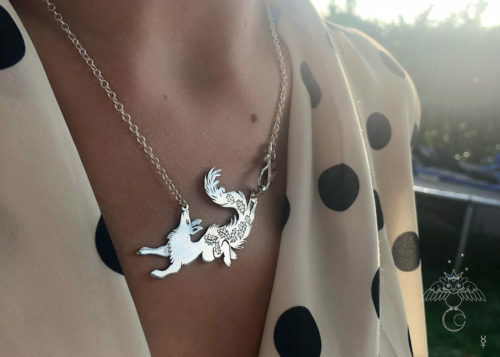 A lovely symbol of both a true love, connection with nature and family roots. 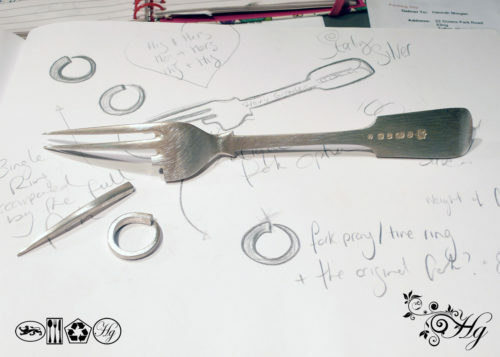 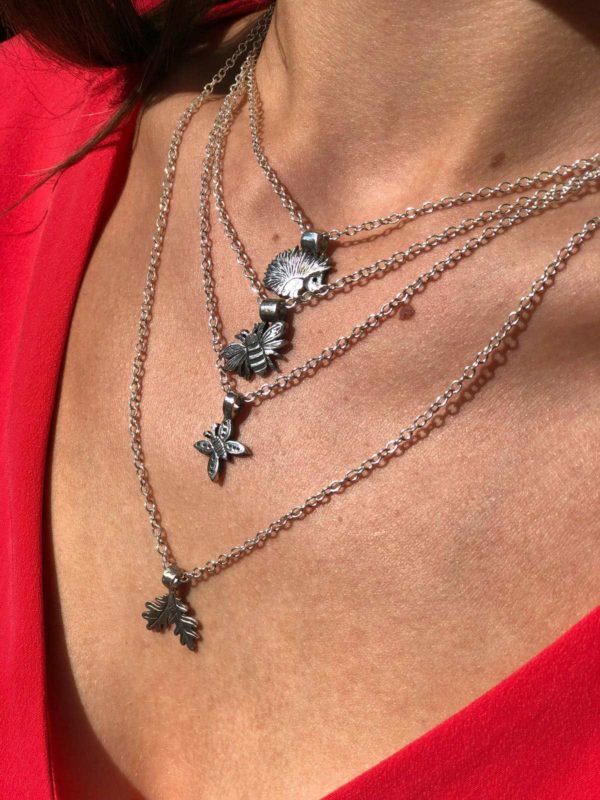 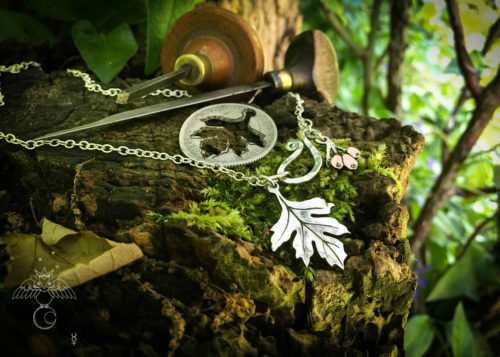 The necklace symbolises this love by demonstrating an eco-conscious lifestyle filled with green ethical choices. 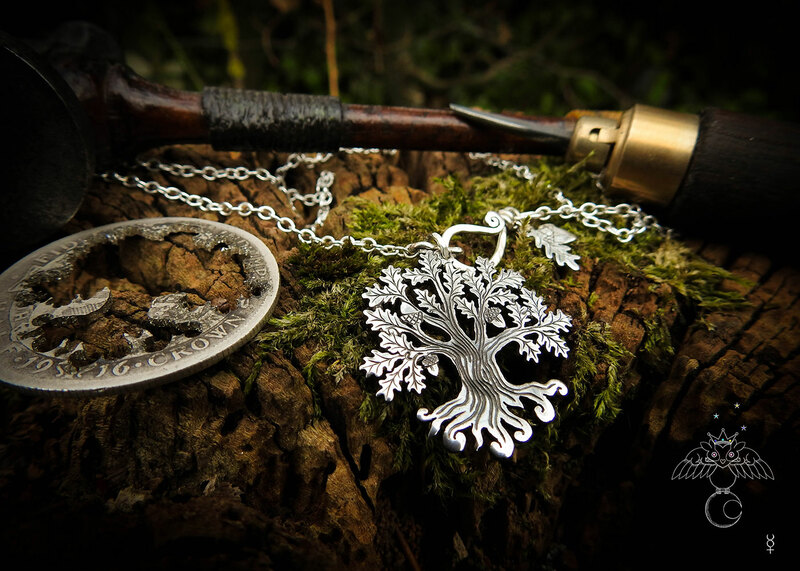 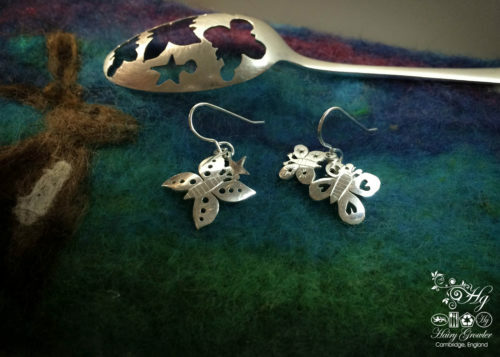 Each sterling silver tree of life is handcrafted individually, by myself, in Cambridge. 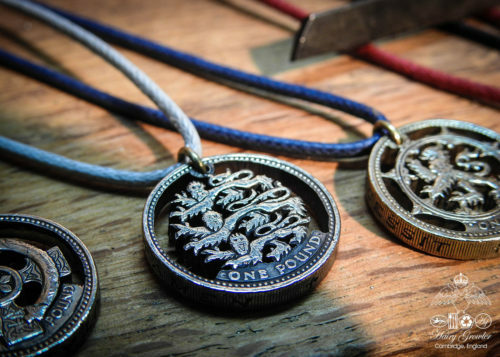 Using traditional jewellers hand tools, a beautiful, unwanted, sterling silver pre 1919 English coin is transformed into an intricate, yet simple, tree pendant. 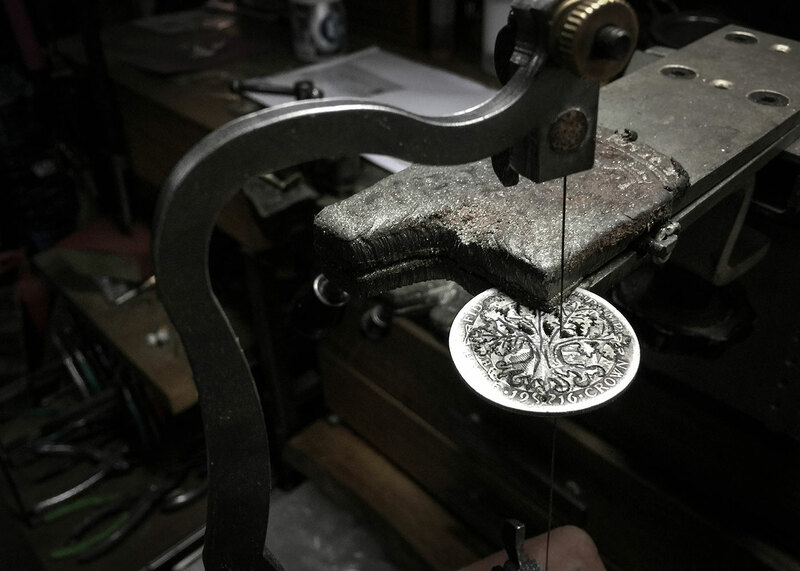 The coin is flattened to increase to working area. 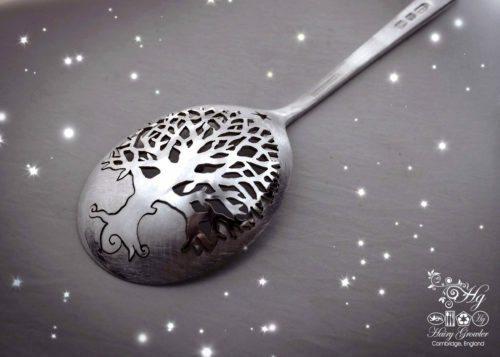 The rough tree design is sketched onto the surface and then painstakingly detailed with a jewellers hand saw and hand engraving chisels. 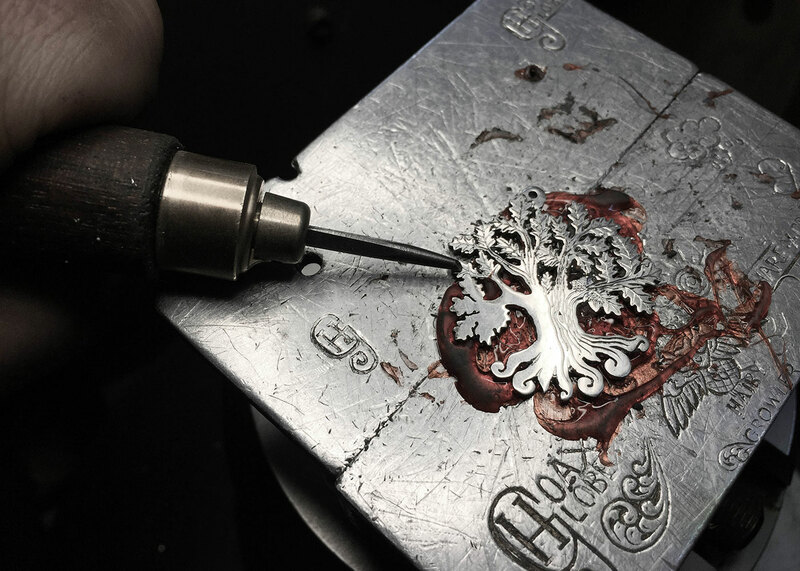 It is these processes which reveal the beautiful details. 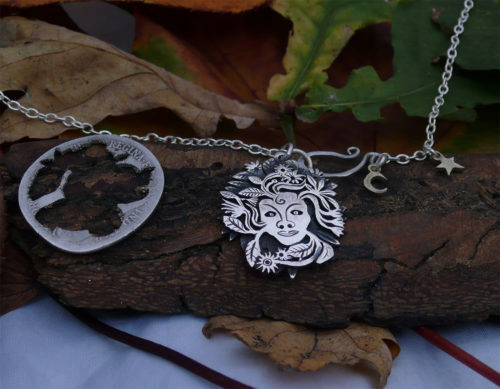 Each one of these trees is a complete pleasure to make, totally unique and completely individual. 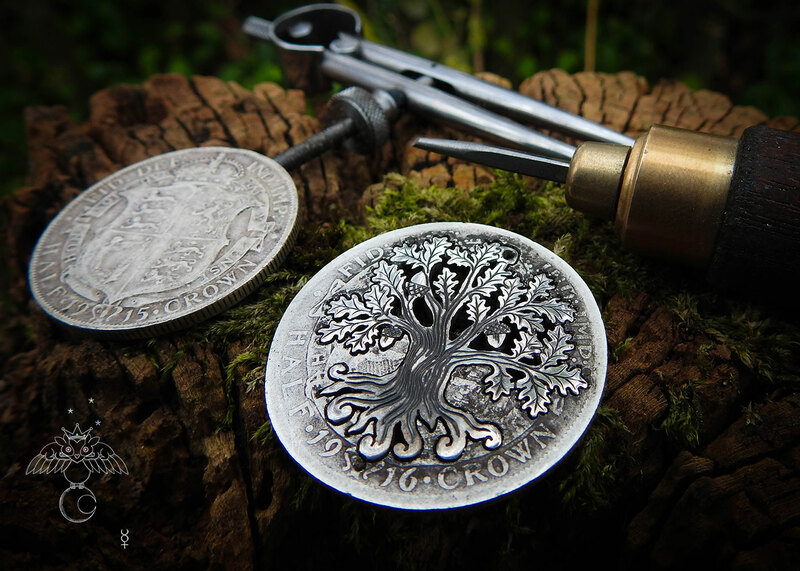 Once the tree is successfully cut away from the coin it is finished with hand engraved bark and leaves. 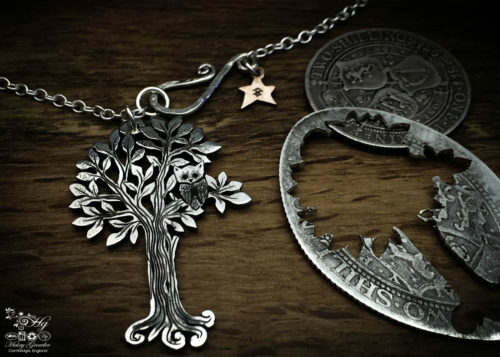 A simple mounted star or heart hanging freely at the bale or ‘shepherds crook’ safety catch if silver chain option is chosen.